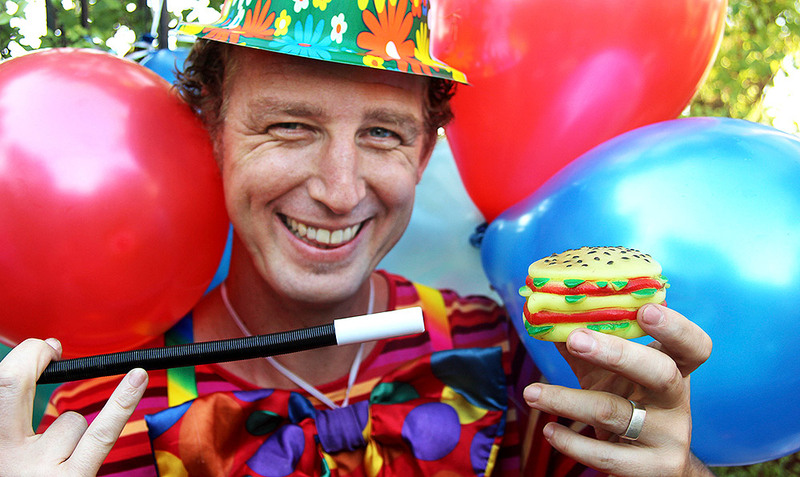 From Children’s Parties to Event Entertainment you need look no further than Melbourne Madness! The Kids go on a hilarious journey with imaginative and unique characters who specialise in the art of fun! We absolutely love what we do and performing for children is our passion! Contact Us Contact us today to discuss your party needs. Melbourne Madness Children’s entertainment is the brainchild of Melbourne born Dad and children’s performer “Charlie Brown”. Ever since the below conversation with his grade prep teacher…. Mrs Lekcte: What do you want to be when you grow up Charlie Brown? …he has had a passion to pursue that statement. Theatrically trained at the National theatre Drama school, he decided to buck the trend of your normal Theatre path. Having a successful stint on the stand-up comedy circuit around Melbourne he ventured overseas where he worked for Disney as an entertainer. Seeing the laughter and happiness on children’s faces after his performances it became increasingly apparent his vocation was to perform for Kids. Coming back to Australia he pursued his dreams and performed in shows for children across Victoria. Inspired by children’s laughter, raw energy and sheer creativeness he then created “Melbourne Madness”! So whether he’s walking into an imaginary door, eating his eyeball or wearing hamburger as hat, Charlie will always strive to make good his statement to Mrs Lechte, with one little edit..
Great party Friday night, Daniel thoroughly enjoyed it. All the other Mums and Dads have been raving about you over the weekend and I don’t think it will be long until Daniel see’s you again at one of his friend’s parties in the coming months!